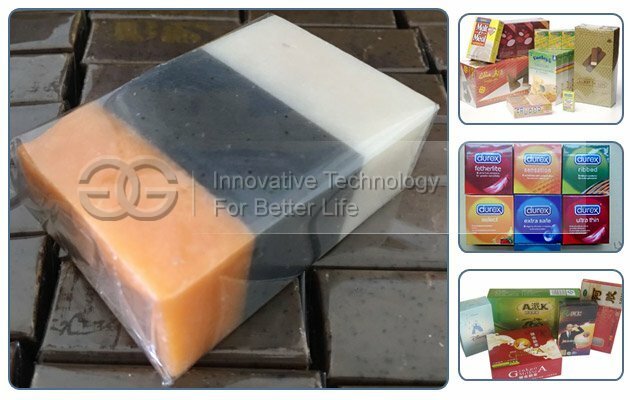 Wrapping chewing gum, condom packets, tea box, sugar, transparent soap, cigarette, VCD discs (CDS), etc. The structure is compact and reasonable, performance is stable and advanced, operation and maintenance is convenient. 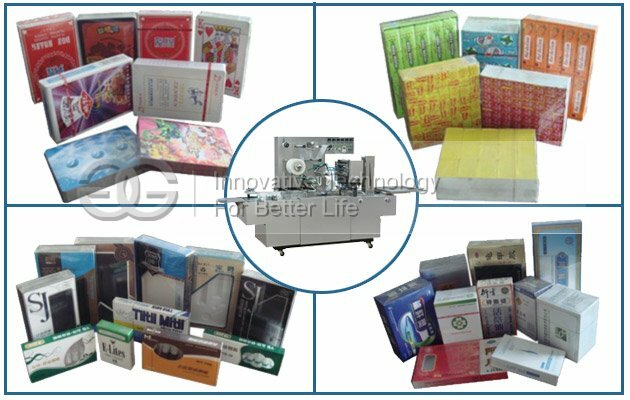 This machine is mainly suitable for tobacco, medicine, food, health care products, cosmetics, audio-visual products, and other square appearance boxes, like chewing gum, condom packets, tea box, sugar, rubber, transparent soap, cigarette, tape, VCD discs (CDS), playing cards, square type batteries, etc. 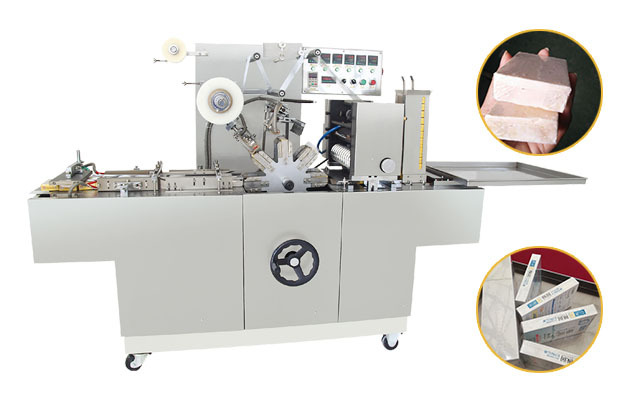 This plastic soap wrapping machine plays an important role in security, moisture, and improving product class, increasing the added value products. 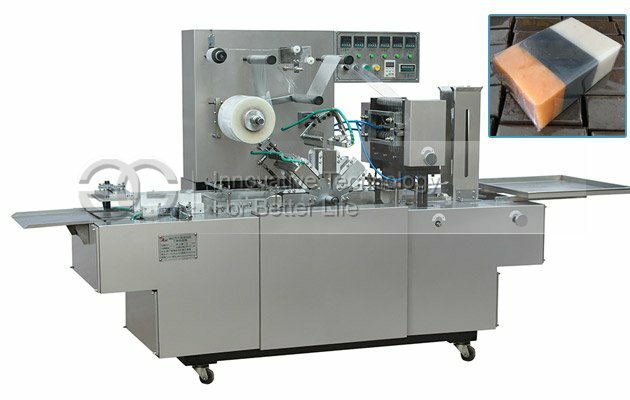 This device can match with cartoning machine for joint production. 6. 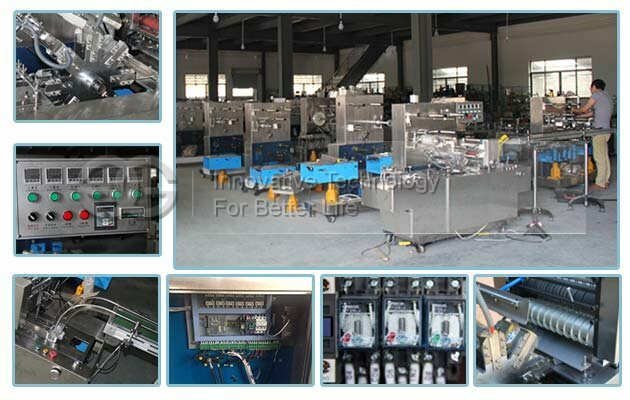 Equipped with commissioning film conveying clutch, do not waste packing material.